Deliciously decadent, our sumptuous squares come in many varieties that will appeal to any sweet tooth. Prepared with real butter, fresh eggs, and high quality nuts and chocolate, they are sure to satisfy! Sweet and salty, this delicious square has a shortbread base and caramelized honey and almonds on top. Made with flour, butter, icing sugar, vanilla, salt, eggs, honey, whipping cream and almonds. Give us a call to find out what flavours we currently have, it changes with the season. Look for delicious fruit varieties while they are in season, and rich comforting flavours in the winter. A With the Grain classic, this gooey chocolate square contains butter, eggs, sugar, flour, cocoa, salt, and a decadent amount of chocolate chips, coconut and walnuts. A combination of caramel and pecans on a brown sugar shortbread base, topped with a layer of real chocolate. This square contains flour, brown sugar, butter, pecans, corn syrup, vanilla and chocolate. A twist on a classic, made with spelt flour, dates, sugar, butter, coffee, and a hint of fresh orange and lemon zest. 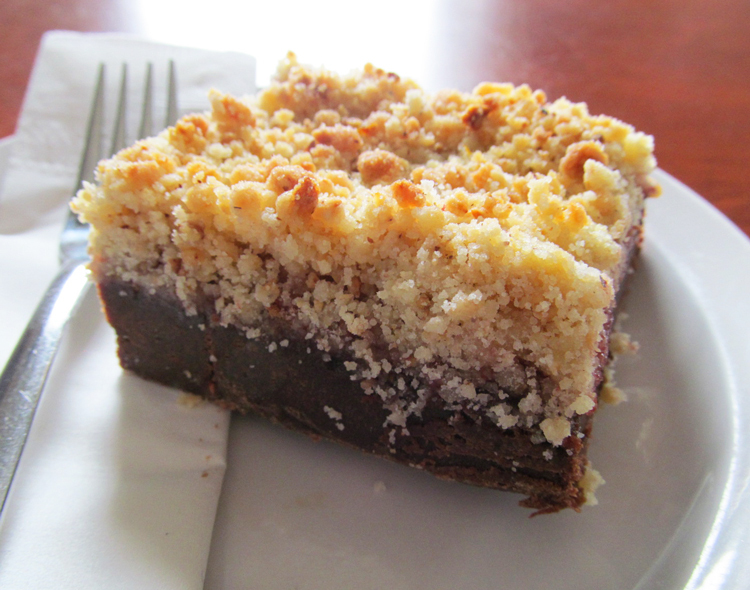 A soft brownie made with butter, sugar, eggs, real chocolate and flour, topped with a thin layer of house-made raspberry preserve and a hazelnut and orange crumble. 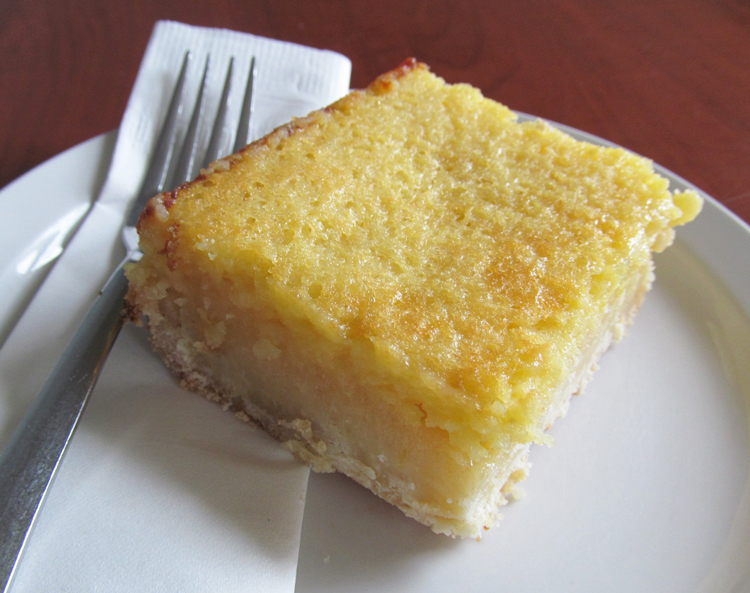 Our most popular square, made with flour, sugar, butter, eggs, fresh lemon zest and hand squeezed lemon juice. 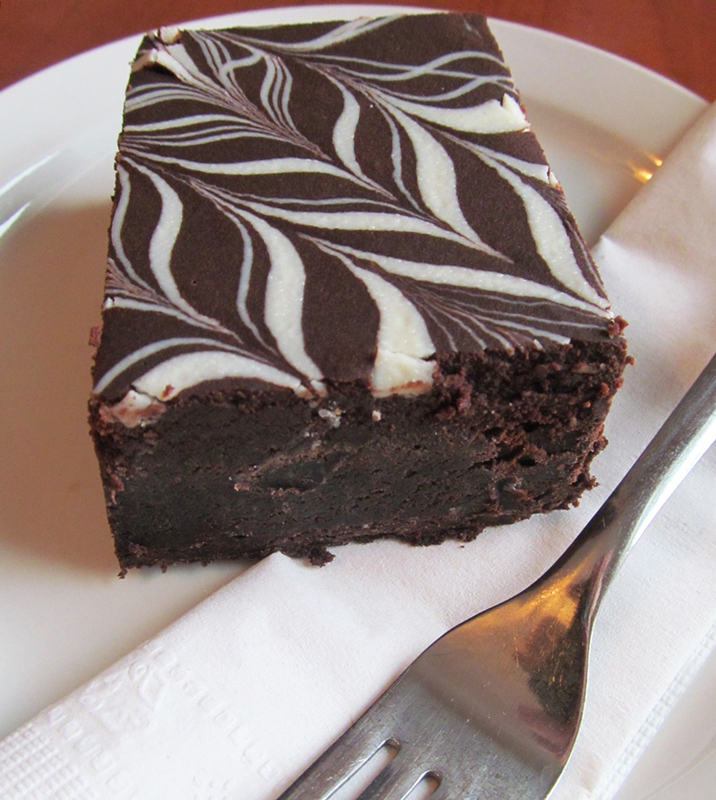 A rich soft brownie made using butter, sugar, flour, eggs, real chocolate and espresso from Planet Bean. Topped with a dark chocolate ganache and drizzled with white chocolate. A tasty dessert that’s loaded with energy and sweetened with honey. It contains brown sugar, butter, honey, eggs, kamut or spelt flour, cinnamon, salt, oats, rice crisps, carob chips, almonds and raisins. The classic treat for kids, small or large! Crackly rice krispie cereal is mixed together with a buttery marshmallow sauce, made with real vanilla.